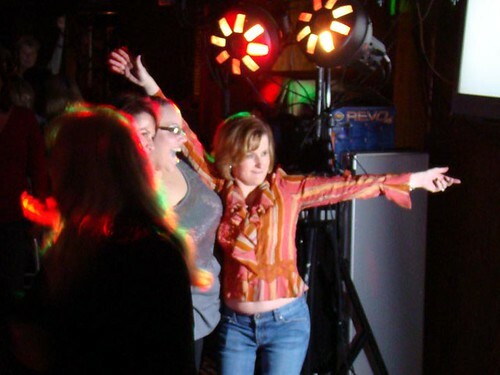 Oracle will be returning to Perry's Restaurant in Odenton on Friday, May 27th. Perry's is where Oracle really launched to popularity in Anne Arundel County. Back in those early days Oracle was a three piece band with a repertoire of about 50 songs. Fast forward about 11 years and the band has grown to six pieces, a full stage lighting show, and a reportoire of well over 500 song! As the old cigarette commercial used to say, "you've come a long way baby"!!! Unfortunately the growth of the band has had some offsetting consequences. 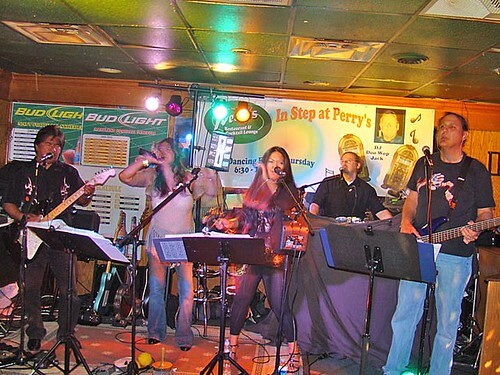 As a five piece band we were barely able to fit on the stage at Perry's. Now, with the addition of drummer Chris Johnson to the lineup, the stage at Perry's simply cannot accommodate the entire band. In order to pull off the performance we're going to be returning to our roots...sort of. Sound engineer Steve will be moving back out to the front of the room to do sound the way sound guys are SUPPOSED to do sound...out with the crowd where he can hear exactly what things sound like. This frees up the stage space for Chris to get his drum kit on stage. We would really like to encourage everyone that remembers those "good ole days" to come out to this performance and join us in looking back, as well as looking forward to the future. As with anything, positive change is essential for growth and prosperity, and as the band continues to evolve we sincerely hope that all of our Oracle Family will come along for the ride. 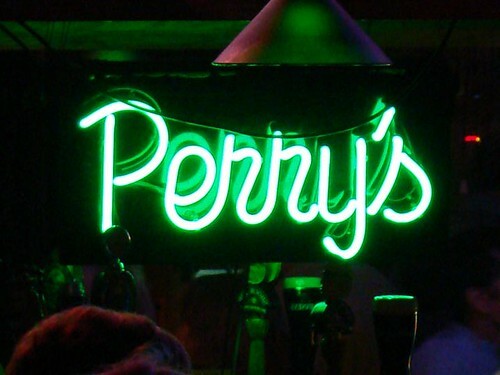 There is no cover charge at Perry's, so you can just come on out and walk right in. Come early & have dinner, or come late & catch the party in full swing. Perry's is really easy to get to, and is accessible from just about everywhere in central Maryland. Located right on Route 175 in Odenton Maryland, it is less than 30 minutes from both the Washington and Baltimore Beltways, as well as under 30 minutes from Annapolis.